These are beautiful! Pinned and will share on my whole 30 page! I love the nutrition avocados provide, but I can’t handle them by themselves. 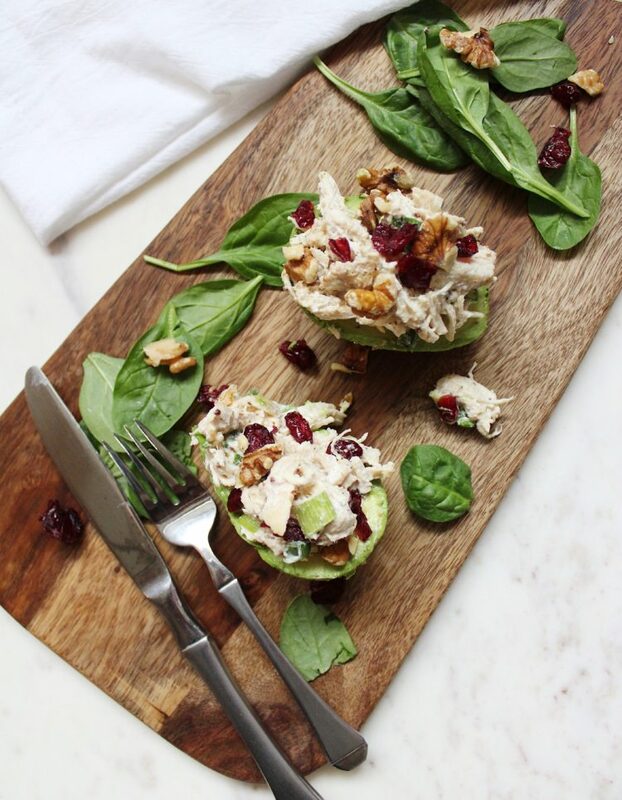 Stuffing them with chicken salad is the perfect solution! Thanks! Yes please!! I love that you stuffed an avocado with this delicious salad! 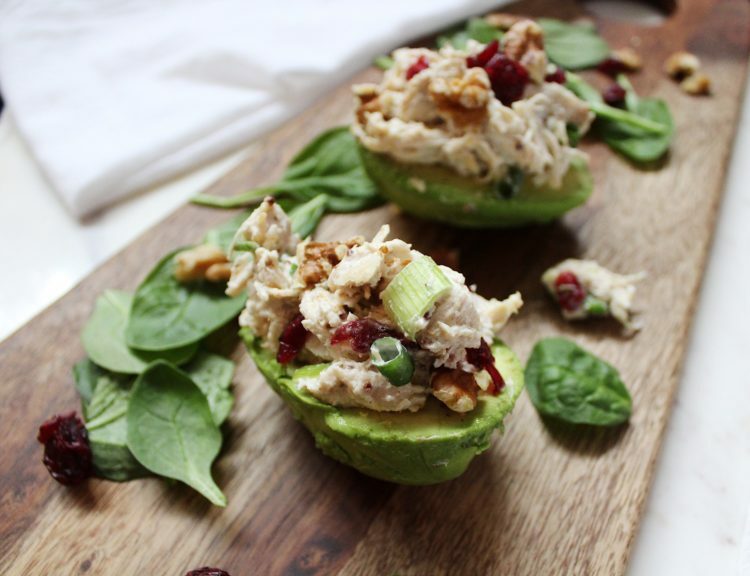 These stuffed avocados are perfect!!! My husband and youngest would love these, I need to make some for them soon. What a delicious looking salad. I love the addition of the cranberries!